PAY 4 NIGHTS AND STAY 5 !! PAY 5 NIGHTS AND STAY 7 !! 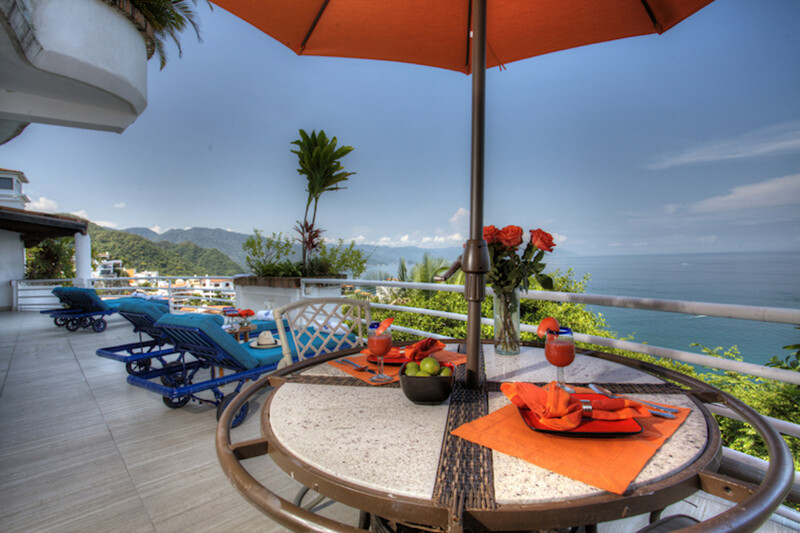 Fabulous villa right on the ocean in the exclusive Conchas Chinas area. 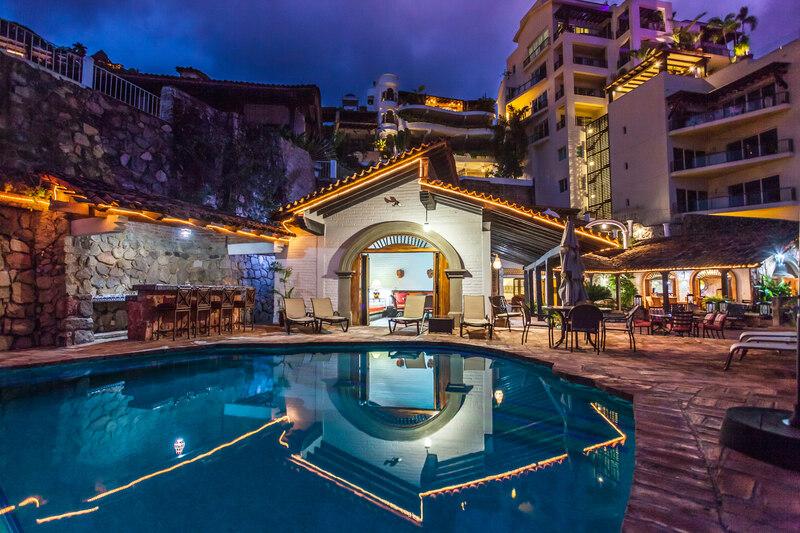 This inviting home has been completely renovated, retaining the best of the classic Vallarta style with a Mediterranean influence. The result is simple, elegant and very comfortable. The ocean’s edge sits 20 feet from the main entertaining area, providing an incredible ambiance from the sound of the surf and pleasant tropical breezes. Just steps to the south of the villa begin the beautiful white beaches of Conchas Chinas; popular Los Muertos beach and the Romantic Zone in town are an easy walk to the north. The flow of the villa works well for large groups and provides spacious entertaining areas; the pool and palapa are surrounded by lush tropical gardens for complete privacy, with a large sunny patio around the pool next to a covered veranda with dining and seating area facing the ocean. The upper terrace has sweeping views and offers the perfect place to enjoy the sunset or lounge away the afternoon in the shade of the pergola. Both upper and lower terraces are wired for sound. The Villa has 5 bedrooms each with air conditioning, private bath, ocean view & terrace. The main floor includes 2 bedrooms, kitchen, dining area and a guest bath. The upper level includes two more bedrooms and spacious living area with vaulted ceilings that opens onto the upper terrace. The Master suite provides the ultimate in privacy, set apart from the main house with TV, stereo, sitting area and terrace with ocean view.